What is your creativity quotient in YOUR chosen career? Have you ever thought about it? Sometimes we fall into the trap of thinking that only certain careers allow for creativity, but, in reality, there is room for a creative approach almost everywhere! My guest today shares how she finds creativity in her work as a physician, and how women through generations have been creative in their endeavors to make a difference in the field of medicine. Dr. Eliza Chin is a past president and current Executive Director of the American Medical Women’s Association (AMWA). I’ve known her for several years and have been privileged to work on projects with her. She is an active physician, author, and leader with many skills and ideas. Her interests include mentoring young women in medicine, geriatric medicine, women’s health, medical humanities, women’s leadership, and the history of women in medicine. 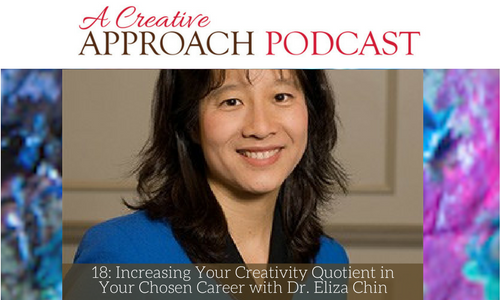 Join me to learn more about Eliza’s creative approach! Why AMWA is still going strong after 102 years! The important connection between medicine and creativity: it’s all about relationships! Has anyone ever tried to limit your creativity? Have you been criticized for “jumping from one thing to another”? My guest today is proof that varied interests and endeavors can enrich and enhance your innate creativity. Don’t be afraid to let your creative efforts flow in different directions! Margot Potter is three notches too loud, five notches too sparkly, and is aging disgracefully. She’s either a Renaissance woman or a “Jill of All Trades,” depending on which day you ask her. She’s a woman of diverse interests and talents who is a jewelry-maker and designer, author, actor, singer and has entertained in bands, in theater, and on television. Her colorful personality goes far beyond her bright pink hair! It’s always a delight to speak with Margot and hear her lively, intelligent, and occasionally provocative opinions. 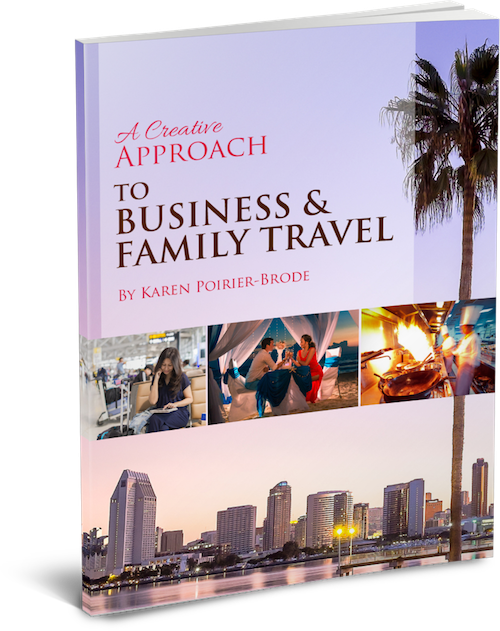 Join me to hear more about Margot and her creative life! Find your spark and go with it!